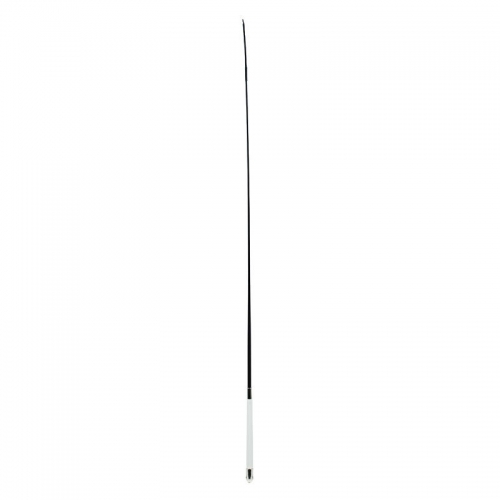 An elegant black and white dressage whip from Horze. The whip is bound in a smooth black nylon, ensuring its longevity and durability. The professionally styled whip looks great in a dressage show ring or for use at home in the arena. 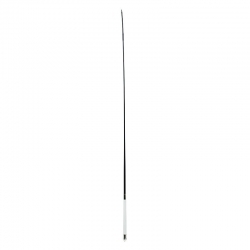 This slightly longer length whip is also very useful for lateral work and in-hand training. This flexible whip, used mainly in Dressage, is durable and dependable made of Fiberglass, nylon and leather.